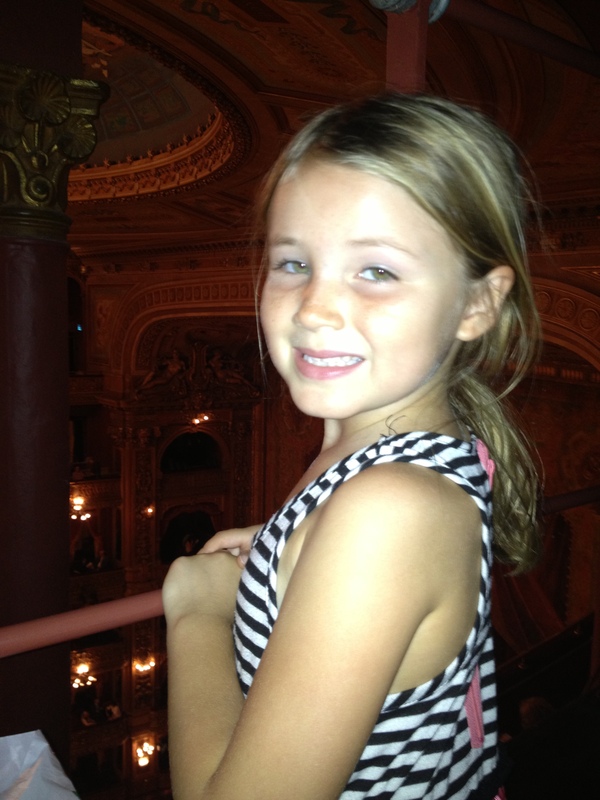 “This isn’t the type of opera I expected”, Zara urgently whispered to me, as we shuffled for a better view of the stage. Her sole exposure to opera before now has been Britain’s Got Talent duo of Jonathan and Charlotte, whose singing she adored. So, what better way to introduce a 6-year old music lover to opera then to book standing “seats” with a view of only 1/3 of the stage at an opera with Spanish subtitles sang in French? 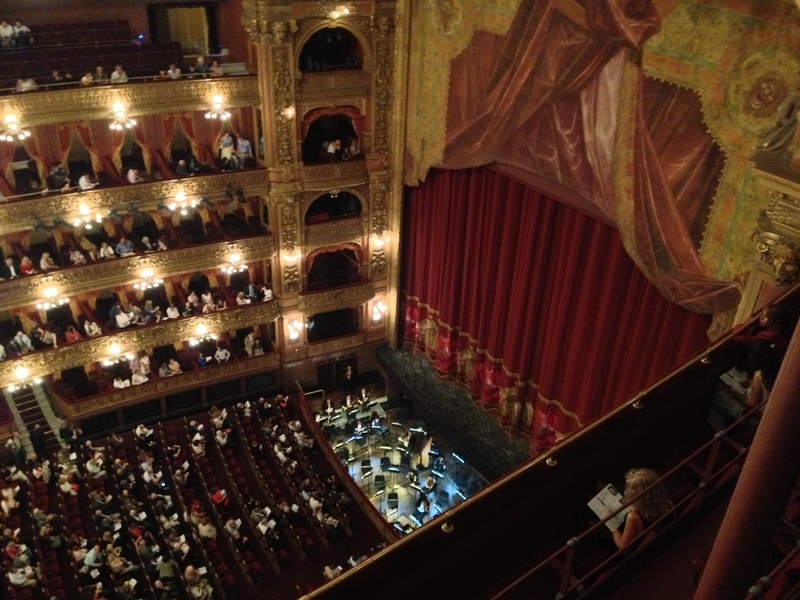 Yep, that was our brilliant plan in going to see “Carmen” at the Teatro Colon. The theater is billed as one of the five best acoustical venues in the world and it is gorgeous to boot after benefitting from a massive refurbishment effort a few years back. As we climbed staircase after staircase after staircase to the highest level, I started to have a few misgivings. Opera arguably is most happily enjoyed from the comfort of a seat that allows for an occasional snooze. Fortunately, there was a hard bench behind our standing area if standing became to taxing, but when seated, the stage wasn’t visible at all. Zara did her best to appreciate the show, but we hadn’t done a great job of summarizing the story for her in our hurried read-through of a Carmen synopsis on the way over in the cab and with most of the stage obscured from view, she didn’t have much to go on. We lasted 90 minutes, through the first two acts, which was long enough to enjoy the well-known Habanera and Toreador songs. Jonathan and I then made an executive decision to leave, so as to not forever spoil opera for her. (The fact that the tickets cost less than to attend a movie in the US made this a much easier choice.) The upside is that next time Zara should be thrilled just to have a seat from which she can see the stage. I suspect that the tango show we have tickets for later this week will be a bit more up my dancing girl’s alley. Buenos Dias to our Super Travelers J&J&Z, We are so thrilled over your opera experience and to be in one of the greatest opera houses in the world-what an unforgettable day , even though it was not quite perfection! But since we are talking about perfection, the perfect souvenier for Inga and I would be a tall, dark, slim Tango Impresario to show us just the right moves! Can that be arranged possibly though the Argentine Cultural Exchange Department? We Love you All! GG, Inga & Alex P.S. Zara that was such a brave smile you gave us in the picture at the opera house even though your eyes told us you were getting oh so tired of not seeing everything and not having a comfy seat-what a great traveler you are! xoxoxoxo to you little darling! Hi Rachel! Sorry–don’t know how I missed this. Unfortunately, we are already back in California for a week. Our time in S. America was FAR too short. Will check out your FB page and perhaps we will meet up somewhere else soon!